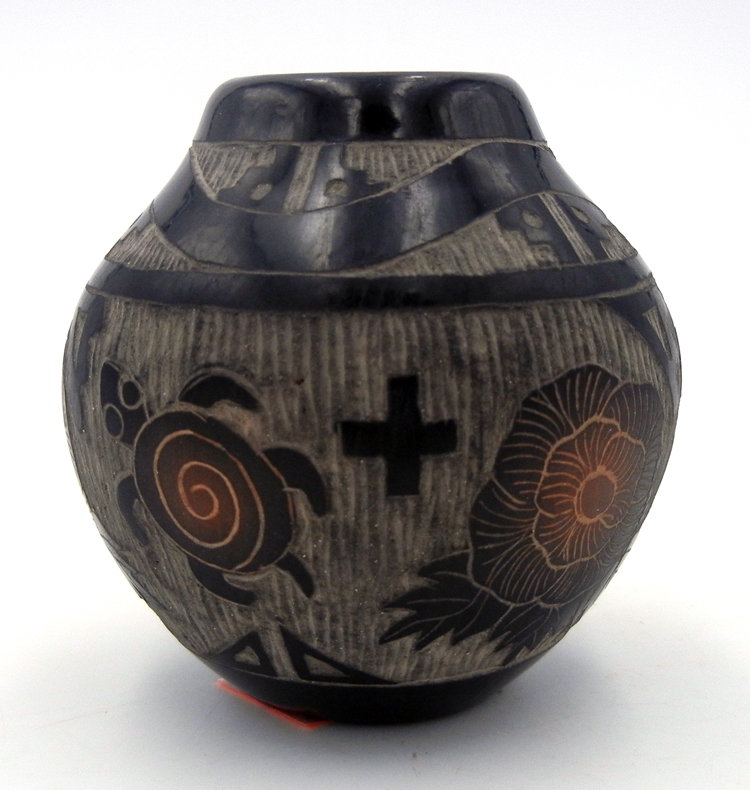 Much like their closest neighbor, San Ildefonso Pueblo, Santa Clara Pueblo Indian pottery is known for black-on-black and red vessels. 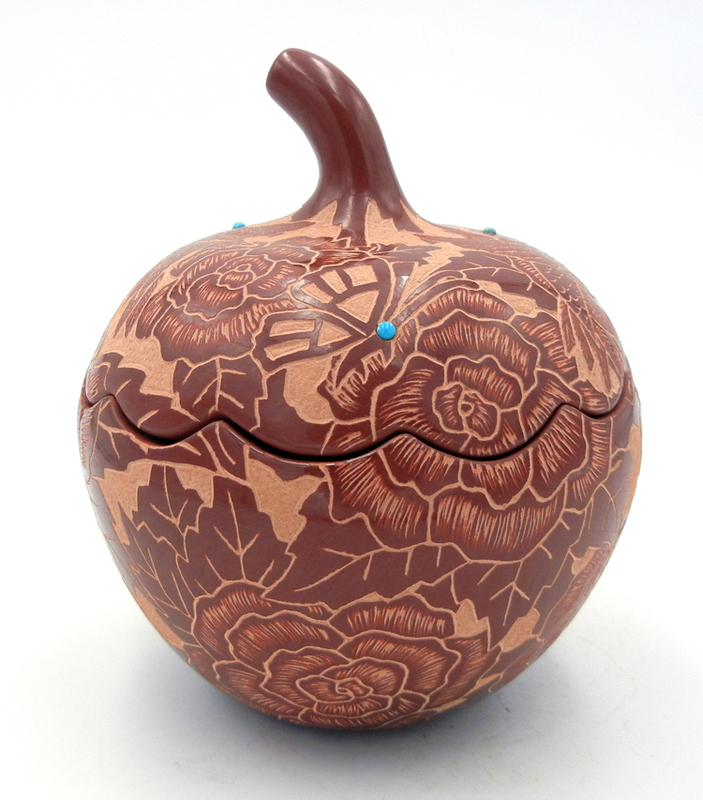 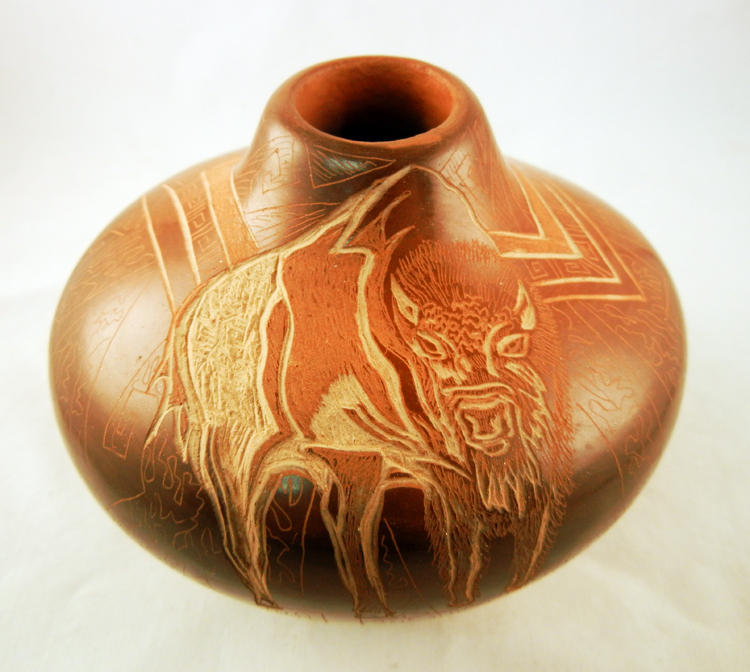 However, Santa Clara Pueblo artists have their own trademark styles and techniques, such as etching, carving and sgraffito to create their designs rather than painting them. 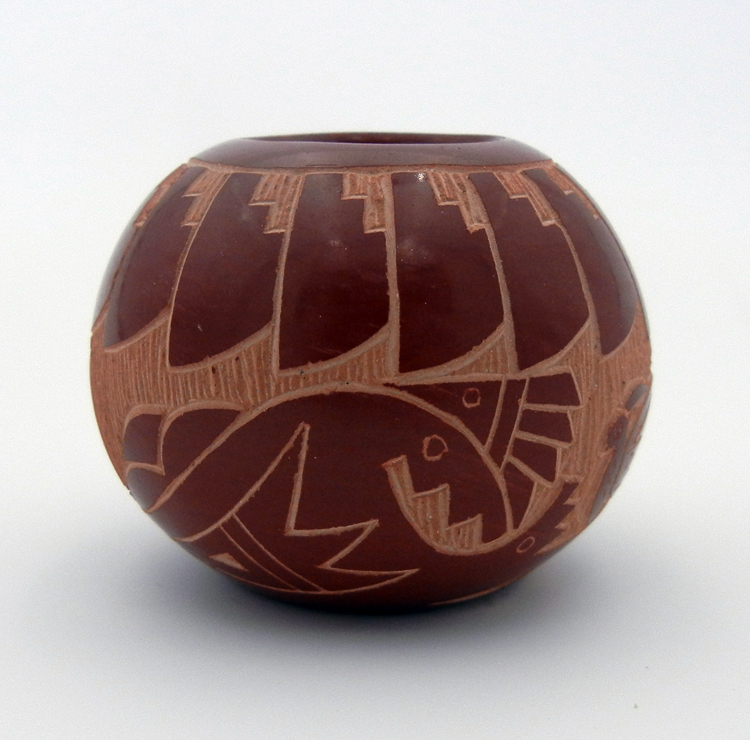 Many Santa Clara Indian pottery vessels are creatively shaped and not symmetrical from top to bottom. 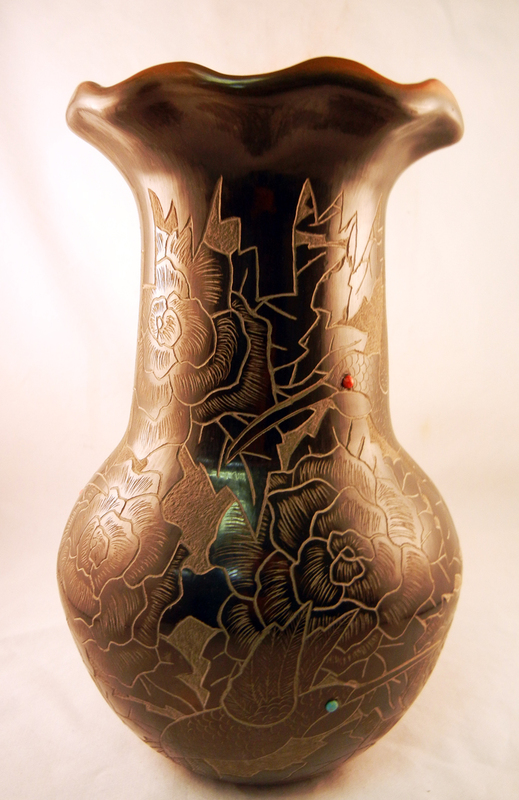 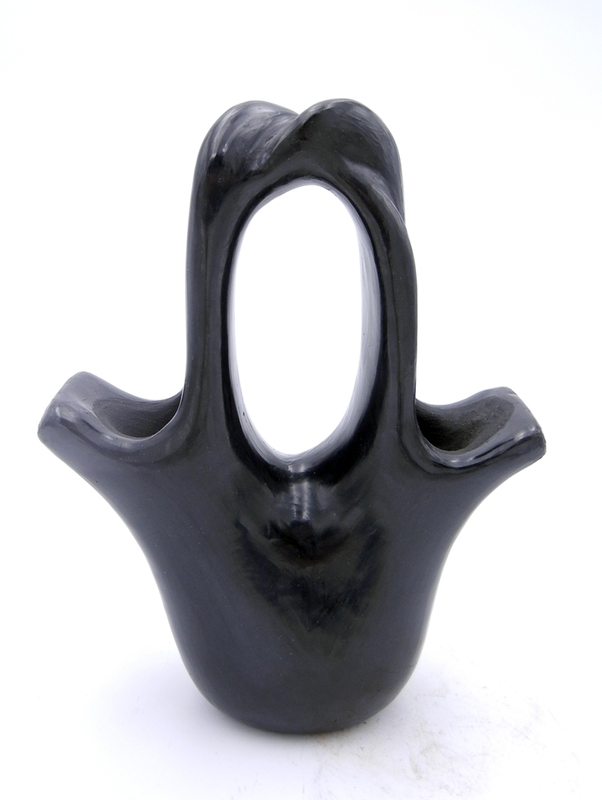 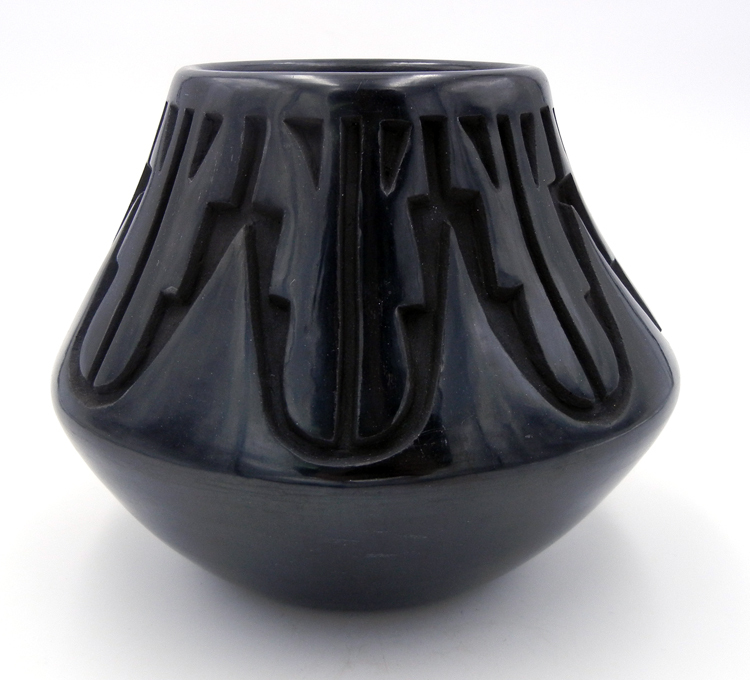 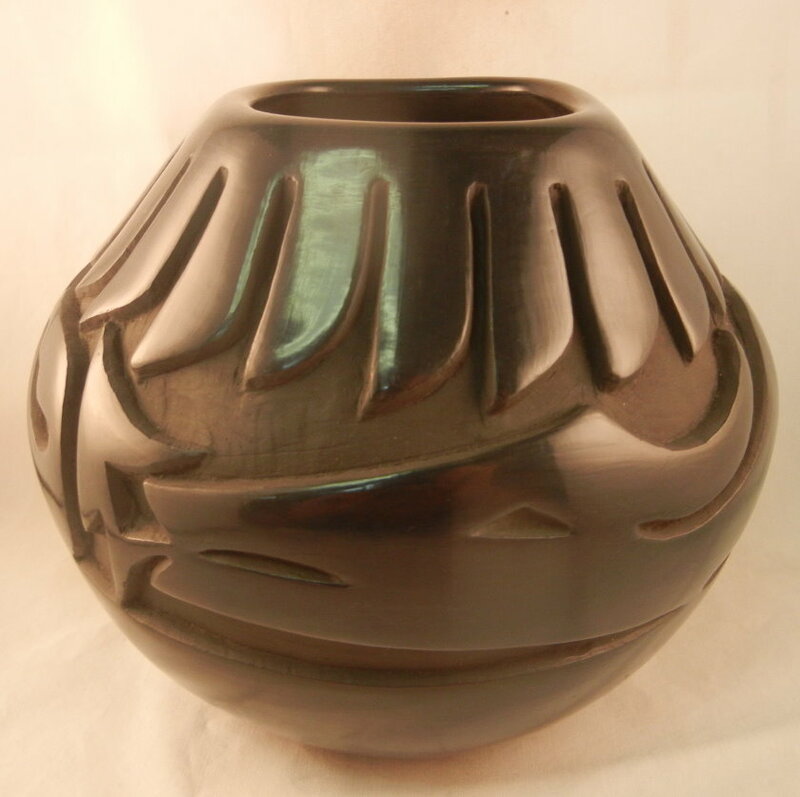 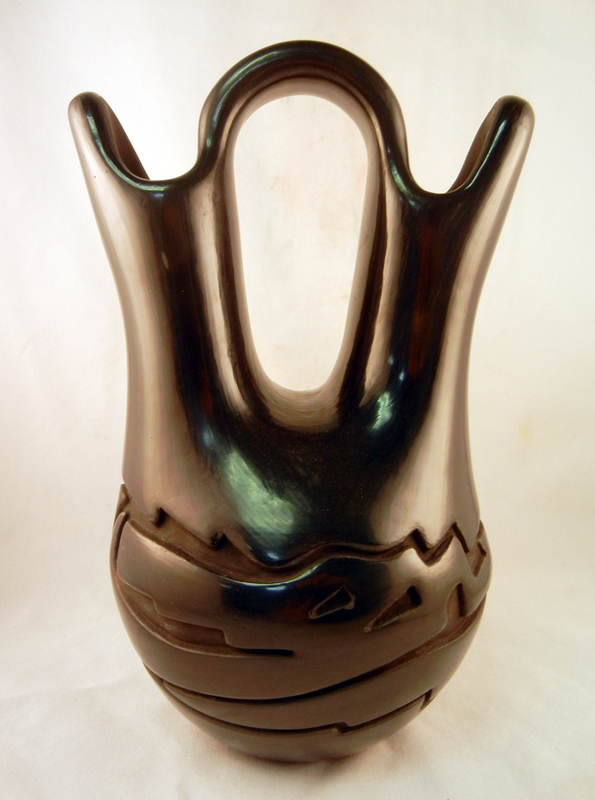 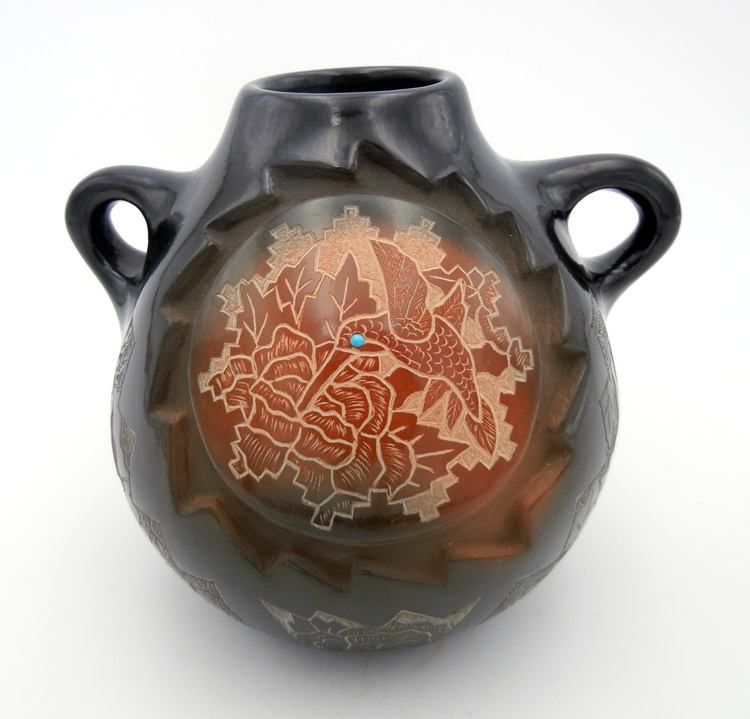 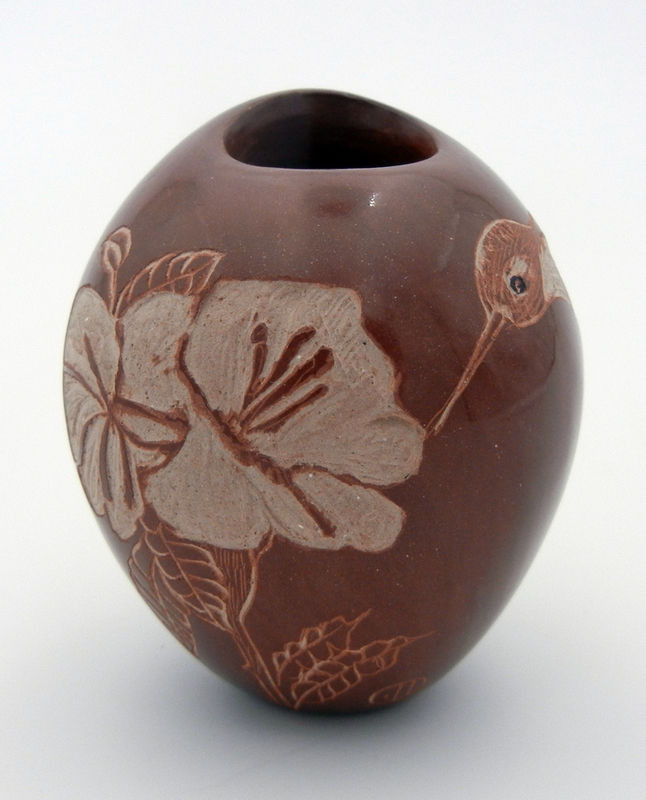 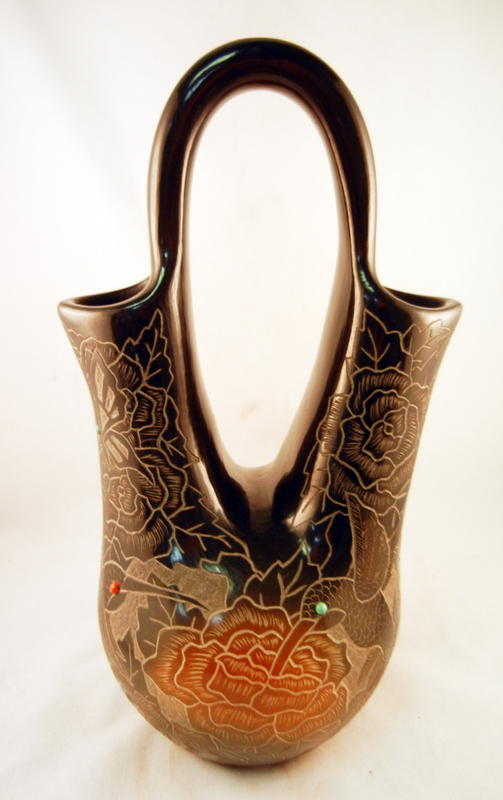 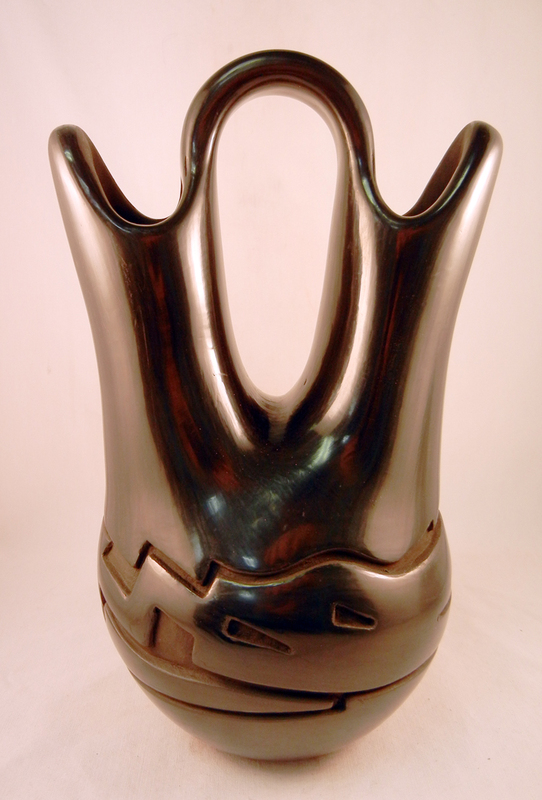 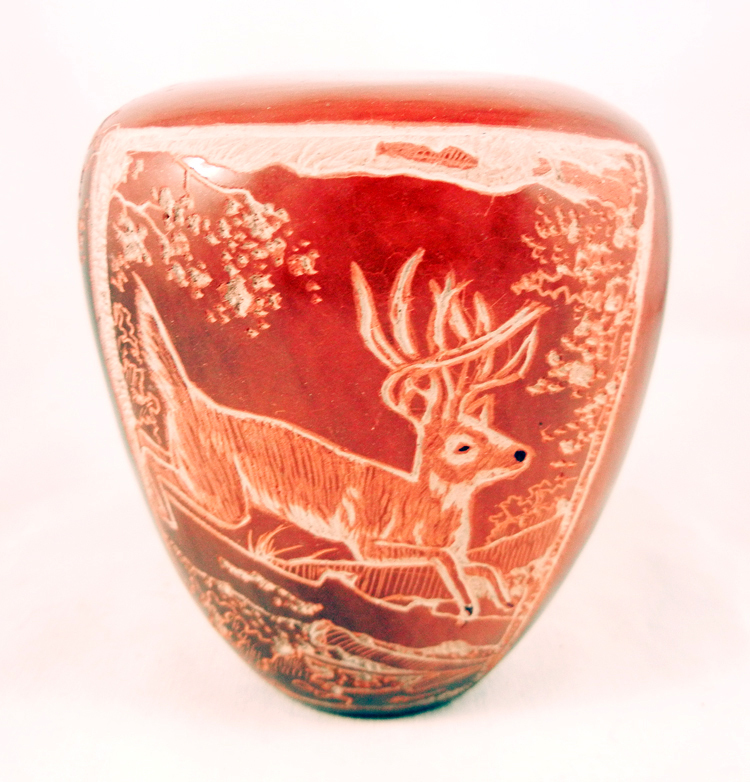 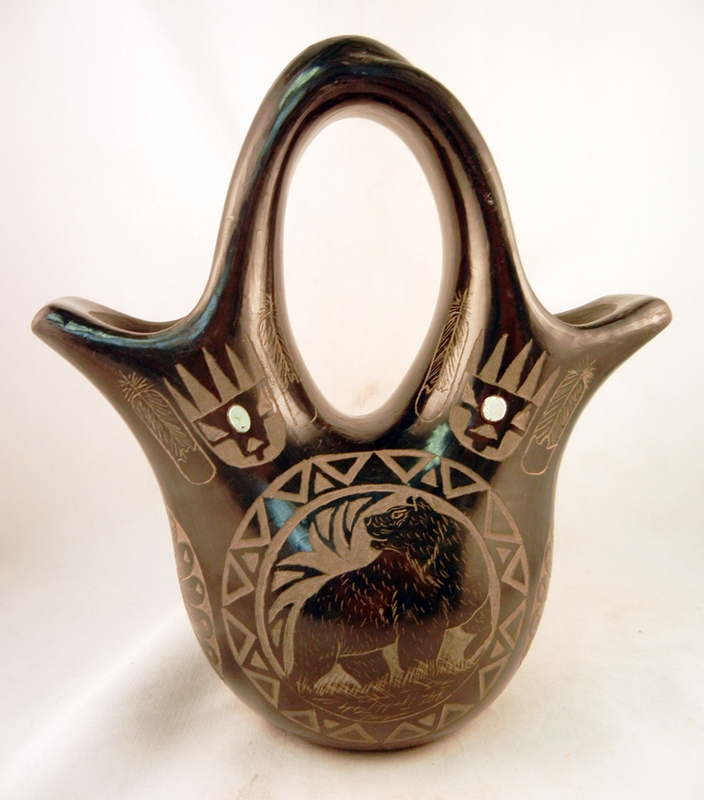 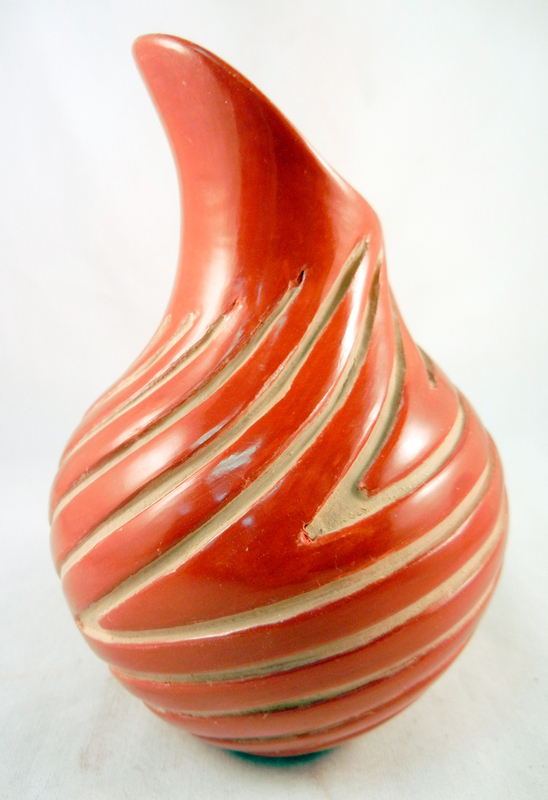 Families such as Tafoya, Naranjo, Suazo, and Gutierrez incorporate Native American Indian pottery styles and designs reflective of their heritage. 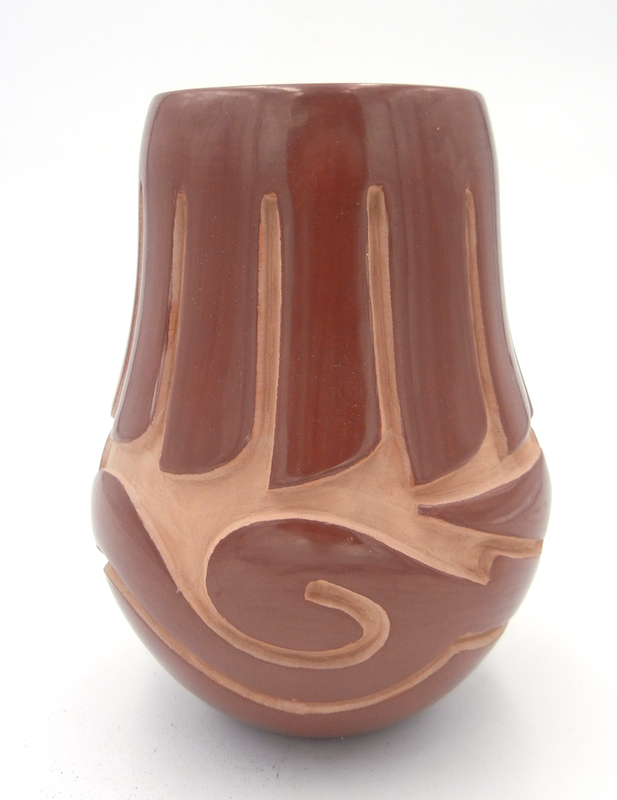 Native American Indian pottery from Palms can add tradition and heritage to your personal collection.